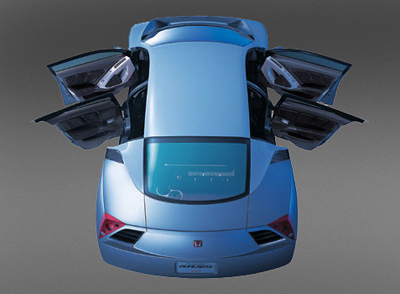 The Honda Dualnote was an advanced and technologically innovative concept which was first introduced at the 2001 Tokyo Motor Show. The hybrid drive system of the Dualnote was its most important feature. 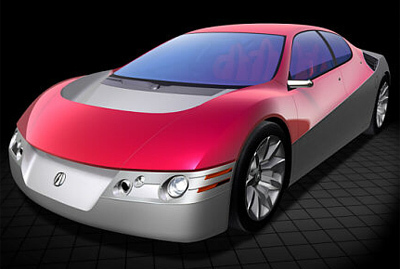 It consisted of a mid mounted 3.5 litre V6 and three electric motors. In total the drivetrain produced an extremely healthy 394 horsepower, yet could also travel 50 miles (80 km) on a single gallon of fuel. 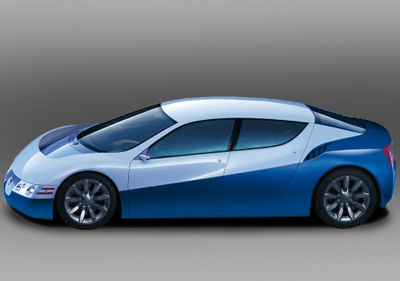 The Honda Dualnote concept also featured an all-wheel-drive system and a clutchless 6-speed sequential manual which could also be switched to full automatic mode. In short the Dualnote concept offered outstanding straight line performance coupled with fugal fuel consumption. And thanks to the mid engine layout and 4WD system the handling wasn't bad either for a four door luxury sedan. The interior of the Honda Dualnote featured four individual seats which were separated by a high centre console running the entire length of the passenger compartment. The instrument panel of the Dualnote was designed to deliver only the vital information when it is needed in order to improve driving pleasure and comfort. With interactive voice-recognition technology at its core, the panel is divided into 3 units: vehicle status readings via 3-D display meters, a center display that transmits extravehicular information in an expanded and easily readable form, and an information monitor for display of navigation, e-mail and other information. The center display incorporates an arrow navigation section indicating turnings in the road ahead, a monitor that displays the presence of pedestrians picked up by the car's infrared camera at night and other functions. To minimize driver distraction, the center display is located at the bottom of the windshield. 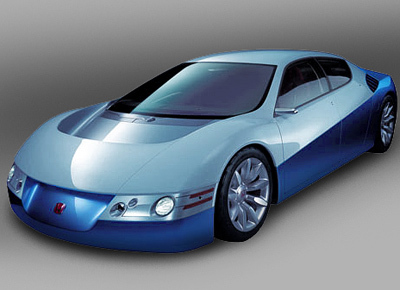 Unfortunately while all the technology in the Dualnote was available at the time and the concept was fully engineered, the cost of the vehicle would have made it unfeasible as a production car back in 2001.